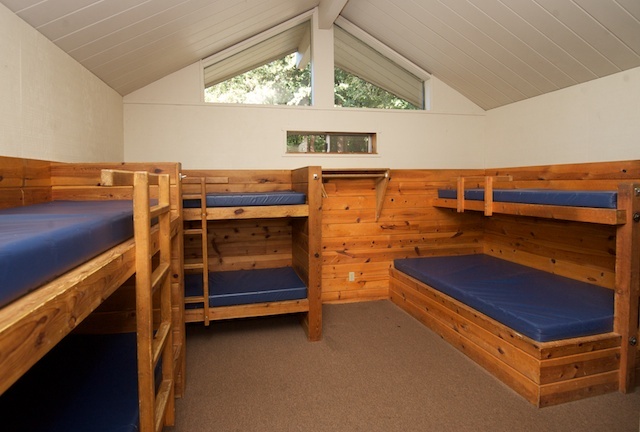 Four stars or four bunks….we’ve got you covered! Accommodations at RCP were created with families in mind. Check out our new rate structure—we’ve added an “age 13-17” range to better accommodate families with older children. Organizing your week’s stay should be where the fun begins. Our Redwood staff is here to help you plan your camp getaway! Rates for our five night camps include meals, accommodations, most programmed events and materials for teaching sessions, as well as available recreational options and crafts. Bring money for ice cream! 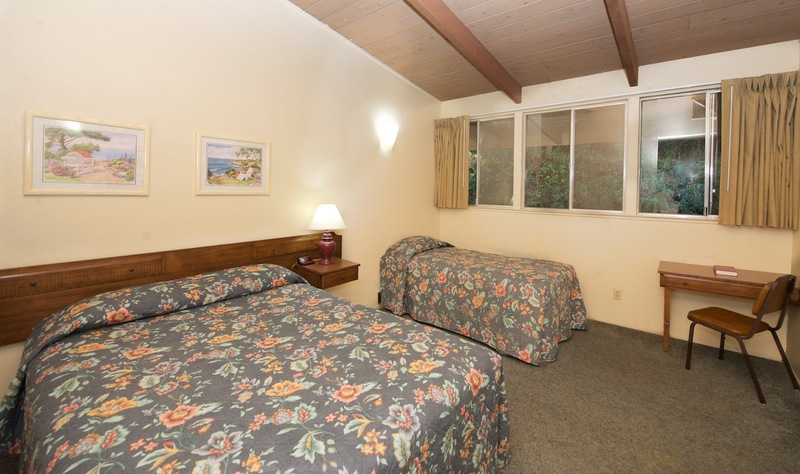 All rooms in Evergreen and Berea Lodges are air-conditioned. Each room provides private bath and is carpeted and heated with linens and towels provided. Rooms have either one double and one twin OR one queen with a set of bunk beds. 2-4 guests per room. All rooms are carpeted, heated and have private bath, with linens and towels provided. Rooms with either two twins or one queen and one twin, 2-3 guests per room. Redwood offers private rooms for doubles or singles, but with a shared bath. 1-2 guests per room. 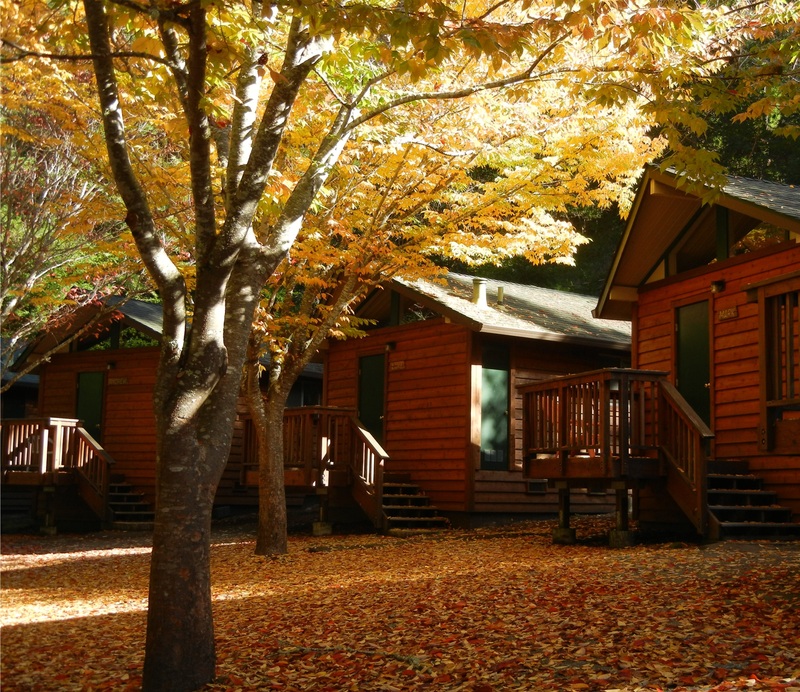 Cabins are carpeted, heated and each have their own private bath. Beds are bunk-style, with one bottom bunk and a double bed. Guests must bring their own linens and towels. Cabin occupancy range from 4-8 guests. Each cabin is carpeted, heated with private bath. Beds are bunk-style, with one bottom bunk and a double bed. Guests must bring their own linens and towels. Cabin occupancy range from 4-8 guests per cabin. Virtue cabins provide extra bathroom space & double sinks. Deluxe cabins are carpeted, heated and each have their own private bath. Beds are bunk-style, with one bottom bunk and a double bed. Guests must bring their own linens and towels. Cabin occupancy range from 4-8 guests per cabin. Deluxe cabins provide air-conditioning. Availability varies by camp. Call our Camp Associate, Faith, and she will help you select the perfect place for you! To request your reservation online or print a registration form, click HERE.